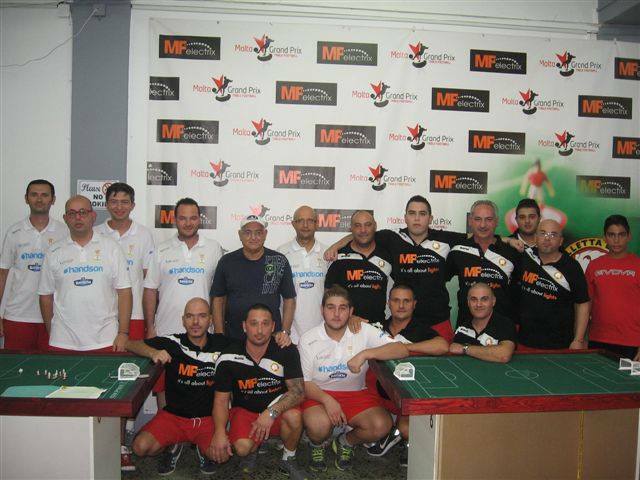 Last week-end the city of Valletta hosted the first Maltese tournament of the season. The International Open had 24 players taking part including Italy’s Massimiliano Nastasi. In the Open category. Samuel Bartolo defeated Mark Gauci in the final. Angelo Borg and Derek Conti lost in the semis. Andrew Abela won the U19 tournament, finishing on top of a group of 5 while Jurgen Balzan was the best U15. Seven teams competed in the team event, including four squads of the Valletta Lions. The A-team of Valletta Lions beat Valletta Subbuteo Club in the final (3-1) to claim the title. This entry was posted in Player News and tagged Malte, Results. Bookmark the permalink.